Wolf Commercial Real Estate, a leading Cherry Hill commercial real estate broker with expertise in Cherry Hill commercial real estate listings and services, currently is offering well-located Cherry Hill retail space for lease in the Heritage Square Shopping Center at 1871 East Marlton Pike Cherry Hill NJ. Situated on the busy Route 70 corridor, this Cherry Hill shopping center for lease counts among its existing tenants the Sakura Spring Asian Restaurant, Entenmann’s Bakery Outlet, Sports Medicine of NJ, Edible Arrangements and more. This Cherry Hill retail building for lease in the Heritage Square Shopping Center at 1871 East Marlton Pike Cherry Hill NJ offers units ranging in size from 1,000 to 4,000 sf. The asking lease price for this retail space in Cherry Hill is $15.00/sf NNN. This Cherry Hill retail space for lease is available for immediate occupancy through Wolf Commercial Real Estate, a Cherry Hill commercial real estate brokerage firm that specializes in Cherry Hill commercial real estate listings and services. This multi-tenant Cherry Hill retail building for lease in the Heritage Square Shopping Center at 1871 East Marlton Pike Cherry Hill NJ is under new ownership and management. There is both monument signage on Route 70 and above-store signage available to tenants in this Cherry Hill shopping center for lease. With its highly visible location on Route 70 and nearby access to I-295, the NJ Turnpike, Route 73 and Center City Philadelphia, this Cherry Hill retail space for lease has excellent exposure to commuters and other travelers. 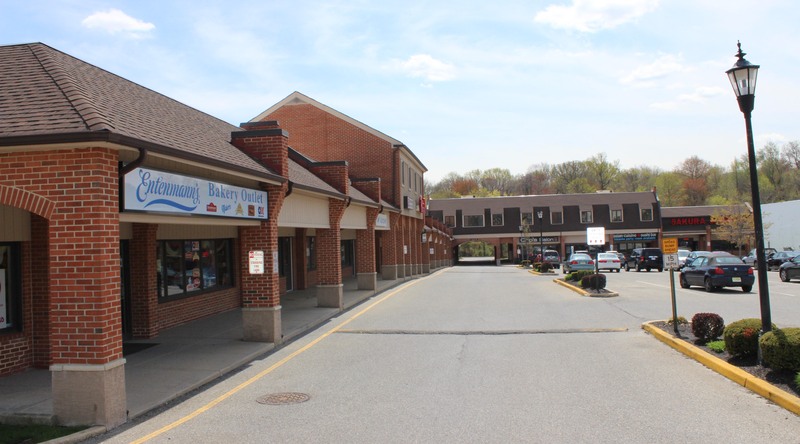 Parking is plentiful at this retail space in Cherry Hill at a ratio of 6/1,000 sf. Nearly 225,000 people reside within five miles of this Cherry Hill retail building for lease in the Heritage Square Shopping Center at 1871 East Marlton Pike Cherry Hill NJ. The average household income in the same geographical area surrounding this retail space in Cherry Hill is $101,360. This Cherry Hill shopping center for lease is available through Wolf Commercial Real Estate, a Cherry Hill commercial real estate broker with expertise in Cherry Hill commercial real estate listings and services. For more information about this Cherry Hill retail space for lease in the Heritage Square Shopping Center at 1871 East Marlton Pike Cherry Hill NJ or about any other Cherry Hill commercial properties for sale or lease, please contact Christopher Henderson (856-857-6337; chris.henderson@wolfcre.com) at Wolf Commercial Real Estate, a Cherry Hill commercial real estate brokerage firm. Wolf Commercial Real Estate is the foremost Cherry Hill commercial real estate broker that specializes in Cherry Hill commercial real estate listings and services, marketing commercial offices, medical properties, industrial properties, land properties, retail buildings and other Cherry Hill commercial properties for buyers, tenants, investors and sellers. Please visit our websites for a full listing of Cherry Hill commercial properties for lease or sale through our Cherry Hill commercial real estate brokerage firm. Wolf Commercial Real Estate, a leading Cherry Hill commercial real estate brokerage firm that specializes in Cherry Hill commercial real estate listings and services, now has available a sublease opportunity for premier Cherry Hill retail space for lease on Route 70. This retail space in Cherry Hill is a free-standing retail building located at 2080 Route 70 East Cherry Hill NJ. This Cherry Hill retail building for lease has approximately 5,748 square feet of highly visible retail space. The asking lease price for this retail space in Cherry Hill is $14.00/sf NNN. 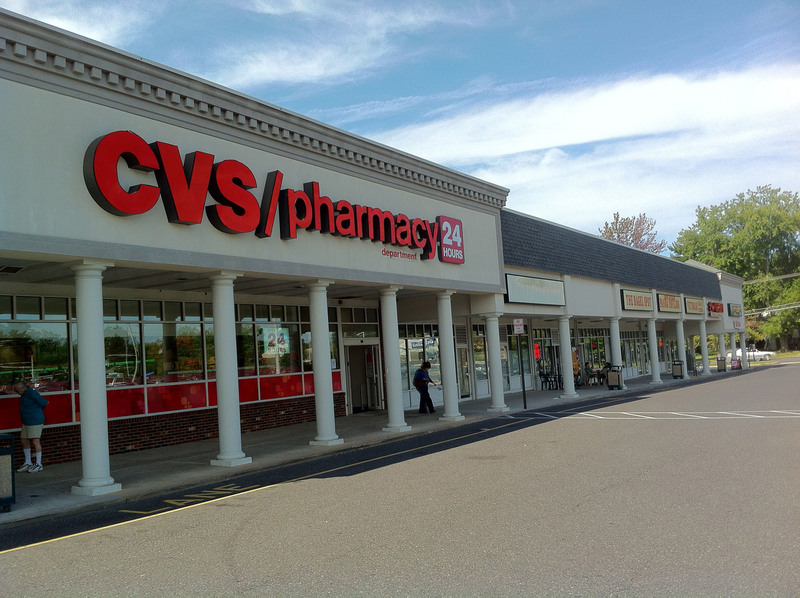 The lease term for this Cherry Hill retail space for lease at 2080 Route 70 East Cherry Hill NJ expires May 31, 2019. This Cherry Hill retail building for lease is being offered for sublease by Wolf Commercial Real Estate, a Cherry Hill commercial real estate broker with expertise in Cherry Hill commercial real estate listings. Situated on heavily traveled Route 70 in a high demographic area of Cherry Hill, this retail space in Cherry Hill has great exposure to potential customers. On a daily basis, more than 45,000 vehicles pass through the intersection of Marlton Pike East and Old Marlton Pike near this Cherry Hill retail building for lease. Parking is plentiful at this Cherry Hill retail space for lease. This retail space in Cherry Hill, which features excellent building and pylon signage, has an open floor plan with a loading and storage area. This Cherry Hill retail building for lease is available for immediate occupancy through Wolf Commercial Real Estate, a Cherry Hill commercial real estate broker that specializes in Cherry Hill commercial real estate listings and services. There are many retail shops, restaurants, lodging options and medical facilities located in close proximity to this Cherry Hill retail space for lease at 2080 Route 70 East Cherry Hill NJ. In addition, Route 73, I-295 and the New Jersey Turnpike are easily accessible from this retail space in Cherry Hill. Nearly 199,000 people reside within five miles of this Cherry Hill retail building for lease and the average household income in the same area is $105,908. For more information about this Cherry Hill retail space for lease at 2080 Route 70 East Cherry Hill NJ or about any other Cherry Hill commercial properties for sale or lease, please contact Jason Wolf (856-857-6301; jason.wolf@wolfcre.com) at Wolf Commercial Real Estate, a Cherry Hill commercial real estate brokerage firm. Wolf Commercial Real Estate is the leading Cherry Hill commercial real estate broker that specializes in Cherry Hill commercial real estate listings and services, marketing commercial offices, medical properties, industrial properties, land properties, retail buildings and other Cherry Hill commercial properties for buyers, tenants, investors and sellers. Please visit our websites for a full listing of Cherry Hill commercial properties for lease or sale through our Cherry Hill commercial real estate brokerage firm. Wolf Commercial Real Estate, a premier Cherry Hill commercial real estate brokerage firm that specializes in Cherry Hill commercial real estate listings and services, now has available highly visible Cherry Hill retail space for lease in the Heritage Square Shopping Center at 1871 East Marlton Pike Cherry Hill NJ. Located on well-traveled Route 70, this retail space in Cherry Hill has fabulous exposure to commuters and other travelers. The units in this Cherry Hill retail building for lease in the Heritage Square Shopping Center range in size from 1,000 to 4,000 sf. The asking price for this Cherry Hill retail space for lease at 1871 East Marlton Pike Cherry Hill NJ is $15.00/sf NNN. This retail space in Cherry Hill is available for immediate occupancy through Wolf Commercial Real Estate, a Cherry Hill commercial real estate broker that specializes in Cherry Hill commercial real estate listings and services. There is new ownership and management in place at this multi-tenant Cherry Hill retail building for lease at 1871 East Marlton Pike Cherry Hill NJ. Existing tenants in the Heritage Square Shopping Center include Sakura Spring Asian Restaurant, Entenmann’s Bakery Outlet, Sports Medicine of NJ, Edible Arrangements and more. This retail space in Cherry Hill is conveniently near I-295, the NJ Turnpike, Route 73 and Center City Philadelphia. This Cherry Hill retail building for lease has ample on-site parking with a ratio of 6/1,000. There are more than 224,500 residents living within five miles of this Cherry Hill retail space for lease and the average household income in the same radius is $101,360. This retail space in Cherry Hill is available for lease through Wolf Commercial Real Estate, a Cherry Hill commercial real estate brokerage firm that specializes in Cherry Hill commercial real estate listings and services. For more information about this Cherry Hill retail building for lease in the Heritage Square Shopping Center at 1871 East Marlton Pike Cherry Hill NJ or about any other Cherry Hill commercial properties for sale or lease, please contact Todd Levin (856-857-6319; todd.levin@wolfcre.com) at Wolf Commercial Real Estate, a Cherry Hill commercial real estate broker. Wolf Commercial Real Estate is a leading Cherry Hill commercial real estate broker that specializes in Cherry Hill commercial real estate listings and services, marketing commercial offices, medical properties, industrial properties, land properties, retail buildings and other Cherry Hill commercial properties for buyers, tenants, investors and sellers. Please visit our websites for a full listing of Cherry Hill commercial properties for lease or sale through our Cherry Hill commercial real estate brokerage firm. Wolf Commercial Real Estate, the foremost Cherry Hill commercial real estate broker that specializes in Cherry Hill commercial real estate listings and services, is now offering premier Cherry Hill retail space for lease at 226 Haddonfield Road Cherry Hill NJ. Due to its location directly across from the Cherry Hill Mall, this Cherry Hill retail building for sale is ideal for retail operations seeking maximum exposure to thousands of potential customers daily. 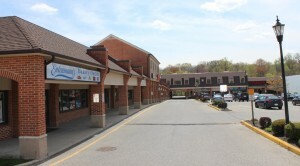 This retail space in Cherry Hill is located at the intersection of Haddonfield Road and Dudley Avenue, which also serves as one of the busiest exits/entrances for shoppers at the Cherry Hill Mall. Contributing to the high visibility is the existence of a traffic light at the Haddonfield Road and Dudley Avenue intersection where this retail space in 08002 is located. A massive exterior renovation was recently completed at this Cherry Hill retail building for sale through Wolf Commercial Real Estate, a Cherry Hill commercial real estate brokerage firm that specializes in Cherry Hill commercial real estate listings and services. In addition, the grounds at this Cherry Hill retail space for lease are meticulously maintained. There is single unit totaling 3,018 square feet available for lease at this retail space in Cherry Hill at 226 Haddonfield Road Cherry Hill NJ. The other tenant in this Cherry Hill retail building for sale is a men’s apparel store. The asking lease price of this well located retail space in Cherry Hill at 226 Haddonfield Road Cherry Hill NJ is $15.00 per square foot NNN. 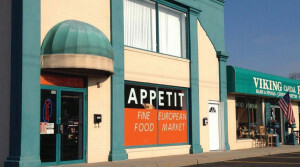 The building that houses this retail space in 08002 also is available for sale as a multi-tenant investment opportunity. Information regarding the sale price and other terms is available by request to Wolf Commercial Real Estate, a Cherry Hill commercial real estate broker. There are more than 126,000 potential customers living within a three-mile radius of this Cherry Hill retail space for lease. This retail space in 08002 has excellent pylon and store signage. With a ratio of 2.50/1,000 sf, there is ample parking at this Cherry Hill retail building for sale at 226 Haddonfield Road Cherry Hill NJ. This retail space in Cherry Hill is available for immediate occupancy through Wolf Commercial Real Estate a premier Cherry Hill commercial real estate brokerage firm that specializes in Cherry Hill commercial real estate listings and services. Cherry Hill, where this retail space in 08002 is located, serves as the heart of business and commerce in South Jersey. There are hundreds of restaurants and stores within the municipality’s borders, making it an attractive destination for people of all income levels in South Jersey and Philadelphia. The popular Cherry Hill Mall, which is directly across the street from this retail space in Cherry Hill, is a key component of Cherry Hill’s widespread appeal to shoppers and diners. For more information about this Cherry Hill retail space for lease at 226 Haddonfield Road Cherry Hill NJ or about any other Cherry Hill commercial properties for sale or lease, please contact Jason Wolf (856-857-6301; jason.wolf@wolfcre.com), or Todd Levin (856-857-6319; todd.levin@wolfcre.com) at Wolf Commercial Real Estate, a Cherry Hill commercial real estate broker. Wolf Commercial Real Estate is the premier Cherry Hill commercial real estate brokerage firm that provides a full range of Cherry Hill commercial real estate listings and services, marketing commercial offices, medical properties, industrial properties, land properties, retail buildings and other Cherry Hill commercial properties for buyers, tenants, investors and sellers. Please visit our websites for a full listing of Cherry Hill commercial properties for lease or sale through our Cherry Hill commercial real estate brokerage firm. Wolf Commercial Real Estate, the foremost Cherry Hill commercial real estate brokerage firm that specializes in Cherry Hill commercial real estate listings and services, is now offering premier Cherry Hill retail space for sale at 1612-1614 West Marlton Pike Cherry Hill NJ. Located in the heart of Cherry Hill along the well-traveled Route 70 corridor, this Cherry Hill retail building for sale provides maximum exposure to potential customers for the tenants in this Cherry Hill retail space for sale. The asking price for this well-positioned retail space in Cherry Hill at 1612-1614 West Marlton Pike Cherry Hill NJ is $575,000. This retail space in 08002 is available through Wolf Commercial Real Estate, a Cherry Hill commercial real estate broker that specializes in Cherry Hill commercial real estate listings and services. There is a total of 13,000 square feet of Cherry Hill retail space for sale at this Cherry Hill retail building for sale at 1612-1614 West Marlton Pike Cherry Hill NJ. This retail space in 08002 occupies a prime corner location on busy Route 70, making it easily accessible to passing motorists. Nearly 57,000 vehicles per day travel by this retail space in 08002. This retail space in Cherry Hill that is available through Wolf Commercial Real Estate, a Cherry Hill commercial real estate brokerage firm, is minutes from I-295 and the Ben Franklin Bridge, affording access to many points throughout the region. This retail space in 08002 also is conveniently located close to the Garden State Towne Center, the Cherry Hill Mall and many car dealerships and furniture stores. More than 120,000 potential customers live within three miles of this Cherry Hill retail building for sale at 1612-1614 West Marlton Pike Cherry Hill NJ. This retail space in Cherry Hill has storefront facade signage available and 21 storefront parking spaces. For more information about this Cherry Hill retail space for sale at 1612-1614 West Marlton Pike Cherry Hill NJ or about any other Cherry Hill commercial properties for sale or lease, please contact Jason Wolf (856-857-6301; jason.wolf@wolfcre.com), or Scott Seligman (856-857-6305; scott.seligman@wolfcre.com) at Wolf Commercial Real Estate, a Cherry Hill commercial real estate broker. Wolf Commercial Real Estate, a leading Cherry Hill commercial real estate brokerage firm that specializes in Cherry Hill commercial real estate listings and services, is now offering highly visible Cherry Hill retail space for lease at 226 Haddonfield Road Cherry Hill NJ. This prominent Cherry Hill retail building for lease and sale is located directly across from the Cherry Hill Mall, providing phenomenal daily exposure to thousands of shoppers leaving the mall from one of the busiest exits/entrances on the mall grounds. There is a traffic light at Haddonfield Road and Dudley Avenue where this retail space in Cherry Hill is located. A massive exterior renovation was recently completed at this Cherry Hill retail building for sale at 226 Haddonfield Road Cherry Hill NJ. In addition, the grounds are meticulously maintained at this retail space for lease in 08002. A single unit totaling 3,018 square feet is available at this Cherry Hill retail space for lease through Wolf Commercial Real Estate, a Cherry Hill commercial real estate broker. This retail space in Cherry Hill is perfect for any retail operation seeking maximum exposure to thousands of potential customers daily. The co-tenant in this Cherry Hill retail building for sale at 226 Haddonfield Road Cherry Hill NJ is a men’s clothing store. The asking lease price of this well located retail space for lease in 08002 is $15.00 per square foot NNN. The building that houses this Cherry Hill retail space for lease also is available for sale as a multi-tenant investment opportunity. Information regarding sale of this Cherry Hill retail building is available by request only to Wolf Commercial Real Estate, the foremost Cherry Hill commercial real estate brokerage firm that specializes in Cherry Hill commercial real estate listings and services. 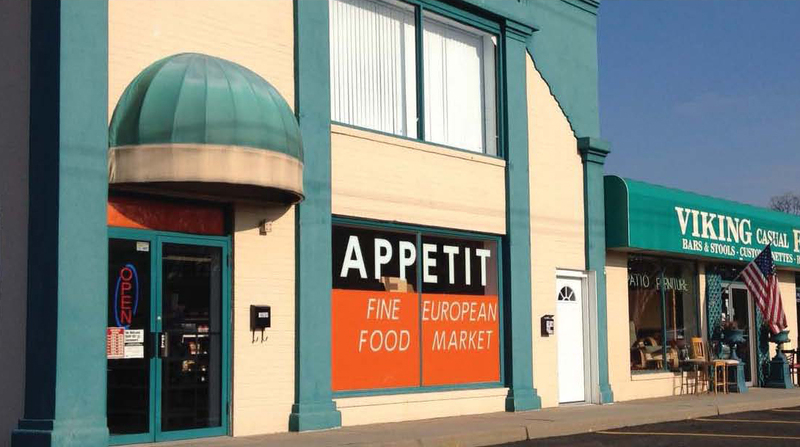 More than 126,000 potential customers reside within a three-mile radius of this retail space for lease in 08002. This retail space in Cherry Hill at 226 Haddonfield Road Cherry Hill NJ has outstanding pylon and store signage. Parking is more than sufficient at this retail space in Cherry Hill at a ratio of 2.50/1,000 sf. This Cherry Hill retail space for lease is available for immediate occupancy through Wolf Commercial Real Estate, a Cherry Hill commercial real estate broker that specializes in Cherry Hill commercial real estate listings and services. This Cherry Hill retail building for sale at 226 Haddonfield Road is located in Cherry Hill, home to hundreds of restaurants and stores, making it the heart of business and commerce in South Jersey. Cherry Hill is the top shopping destination for people of all income levels from the surrounding area, with a key destination of shoppers being the Cherry Hill Mall, which is just across the street from this retail space in Cherry Hill. For more information about this Cherry Hill retail space for lease at 226 Haddonfield Road Cherry Hill NJ or about any other Cherry Hill commercial properties for sale or lease, please contact Jason Wolf (856-857-6301; jason.wolf@wolfcre.com), or Todd Levin (856-857-6319; todd.levin@wolfcre.com) at Wolf Commercial Real Estate, a Cherry Hill commercial real estate brokerage firm. Wolf Commercial Real Estate, a leading Cherry Hill commercial real estate broker, is offering premier retail space in Cherry Hill NJ for lease at 600 North Kings Highway. This retail space in Cherry Hill NJ is located in the CVS Plaza at 600 North Kings Highway Cherry Hill NJ. There is a +/- 1,600 square-foot end cap and a +/- 3,200 square-foot inline store available for lease at this retail space in 08034. This Cherry Hill retail space for lease is available for immediate occupancy through Wolf Commercial Real Estate, a Cherry Hill commercial real estate brokerage firm that specializes in Cherry Hill commercial real estate listings and services. The asking lease price for this Cherry Hill retail space for lease is $15.00 per square foot NNN. There is abundant parking at this retail space in Cherry Hill NJ at 6.4/1000 sf. This retail space in 08034 is in the contemporary CVS Plaza neighborhood strip center that is anchored by a CVS pharmacy. In addition, this Cherry Hill retail space for lease sits at the signalized intersection of Chapel Avenue and North Kings Highway, providing convenient access to Routes 38, 70, 73, I-295 and the New Jersey Turnpike. An average of more than 26,000 vehicles a day drive by this retail space in Cherry Hill NJ available through Wolf Commercial Real Estate, a Cherry Hill commercial real estate broker that specializes in Cherry Hill commercial real estate listings. There are nearly 89,000 residents living within a three-mile radius of this Cherry Hill retail space for lease at 600 North Kings Highway Cherry Hill NJ. For more information about this retail space in Cherry Hill NJ at 600 North Kings Highway Cherry Hill NJ, about other retail space in 08034, or about any other Cherry Hill commercial properties for sale or lease, please contact Jason Wolf (856-857-6301; jason.wolf@wolfcre.com) at Wolf Commercial Real Estate, a Cherry Hill commercial real estate brokerage firm.